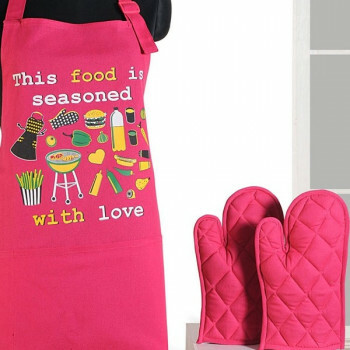 Gear yourself with these graffiti aprons and enter your kitchen with style. 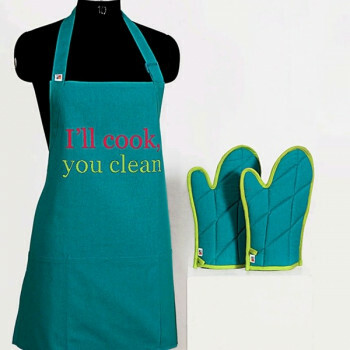 With these aprons on, you will certainly prepare a better meal than usual, as you do not have to keep your focus on avoiding stains on your clothes. 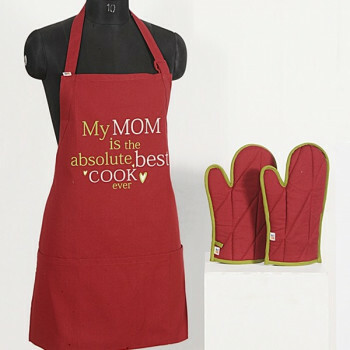 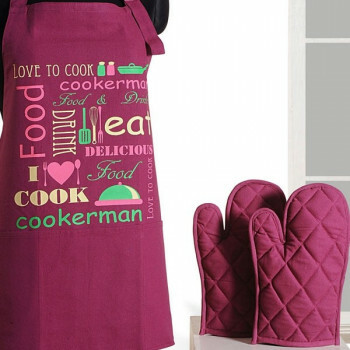 The excellent design and color of these aprons will definitely bring improvement in your way of culinary. 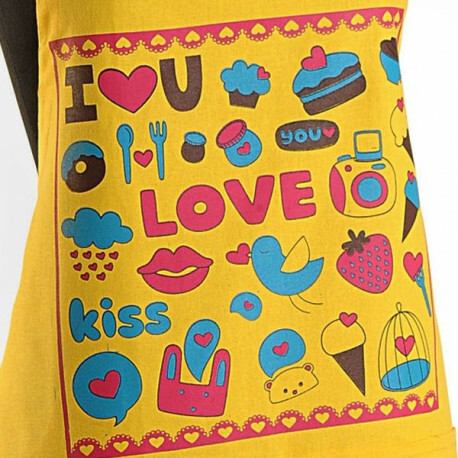 Buy yellow love graffiti aprons from our online shopping portalswayamindia.com and keep the stains out of your clothes. 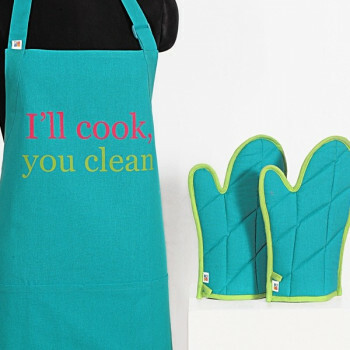 With the help of these aprons and oven gloves, you can confidently prepare your food without any risk of oil spills and burns to your hand. 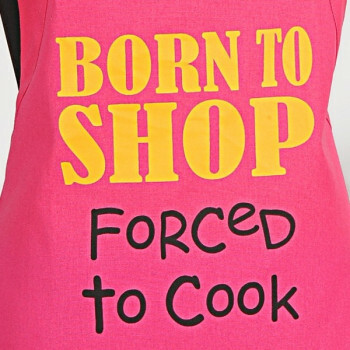 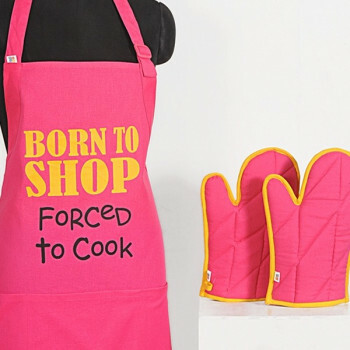 These aprons are printed with colorful animated food items that reflect the love for food. 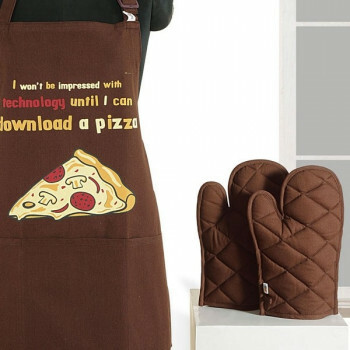 They are printed with pastries, doughnuts, strawberries and many food items that impart a captivating picture as a whole. 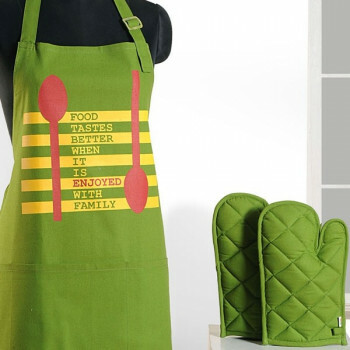 Make your cooking fun and enjoyable with these yellow aprons on and prepare a grand meal for your family. 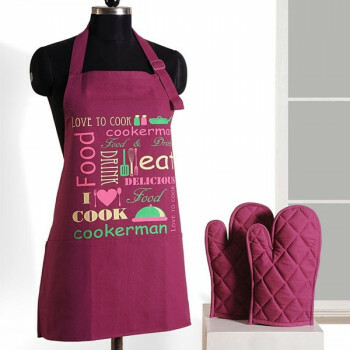 Made from premium grade cotton, these aprons are soft and smooth that provides all the comfort you need to cook an appetizing feast. 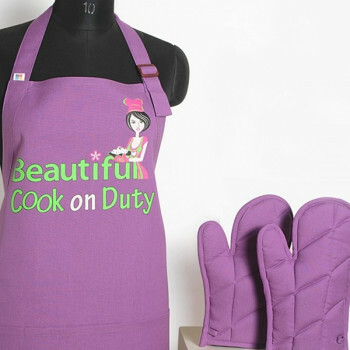 Further, these aprons have adjustable neck straps which allow you to adjust the length according to your height. 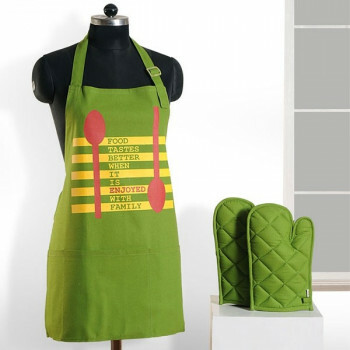 Being woven with high thread count, these aprons are very strong and colorfast in nature. 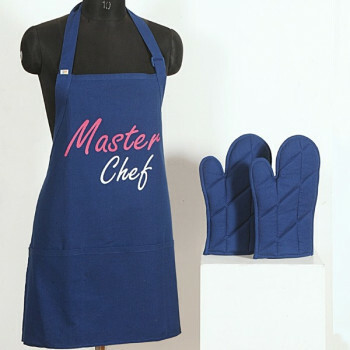 Owing to its high strength, these aprons are perfectly suitable for a machine wash. You will never notice any fade in color or decrease in texture even after a long term use. 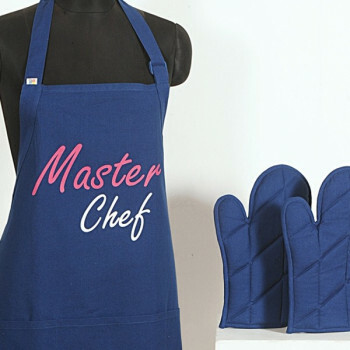 Prevent hot water and dry in shade to maintain its fresh colors. 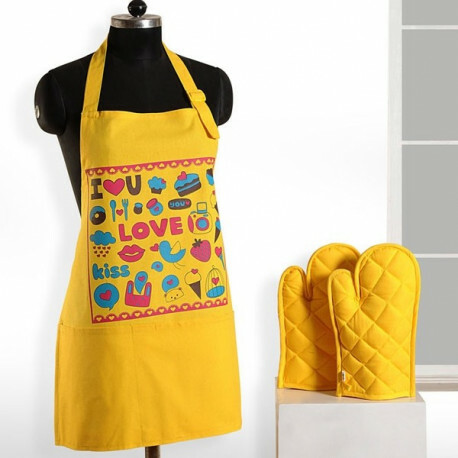 Buy Yellow Love Graffiti Aprons from our online shopping portalswayamindia.com and feel safe in your kitchen. 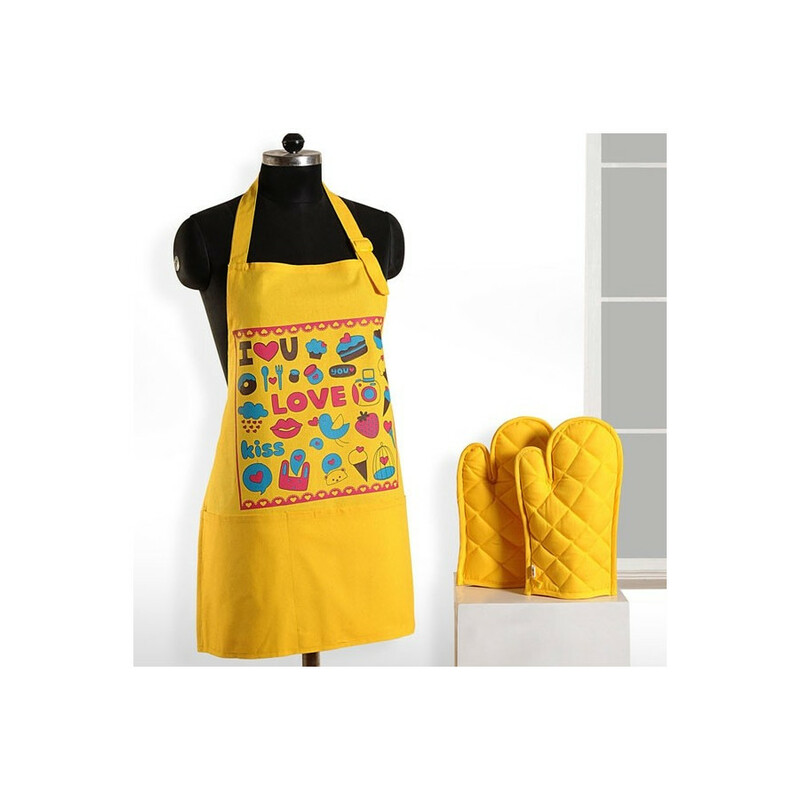 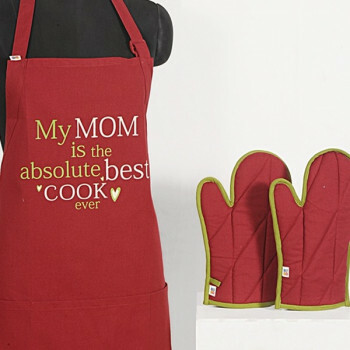 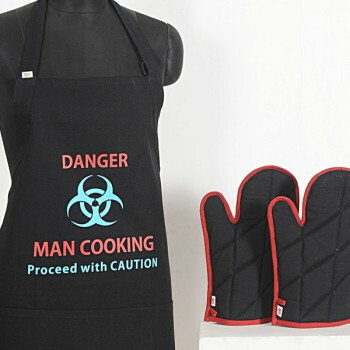 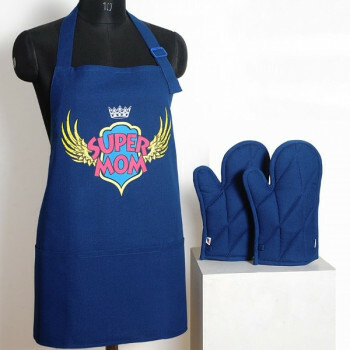 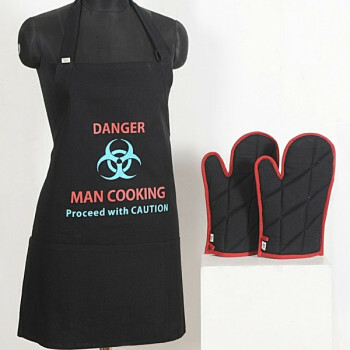 We also offer Yellow Love Oven Gloves along with these aprons. These are made of thick fabric which prevents any transfer of heat. 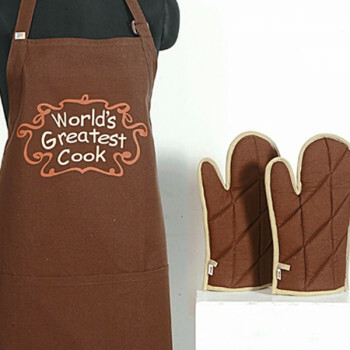 With the help of these gloves, you can prepare a good meal without any risk to your finger tips. 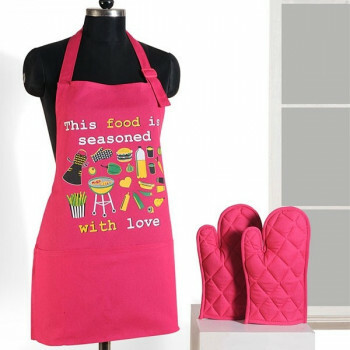 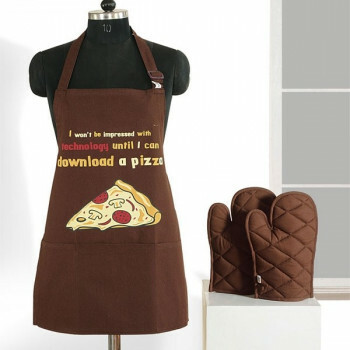 We offer these aprons in many sizes and designs for the diversified needs of our customers. 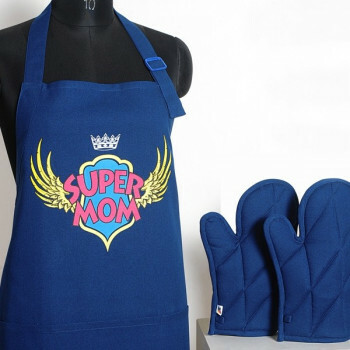 We are also able to customize these aprons according to our customer’s requirements. 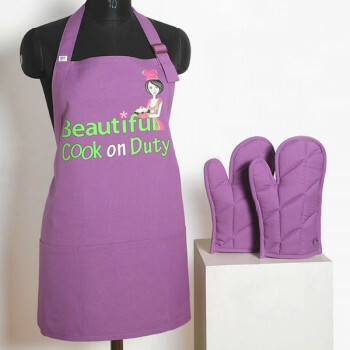 To make your customized order, visit our website and fill in the form according to your requirements. 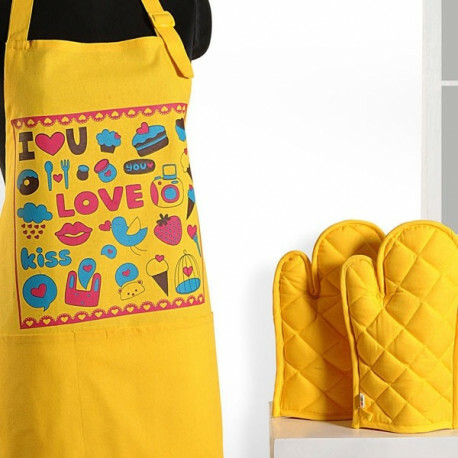 Buy Yellow Love Graffiti Aprons from our online shopping portal swayamindia.com and get Yellow Love Graffiti Aprons as complementary items. 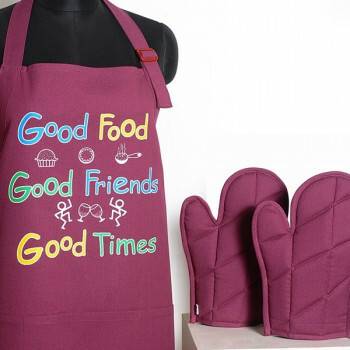 We provide a full buy back guarantee to all our customers who receive damaged or misprinted products. 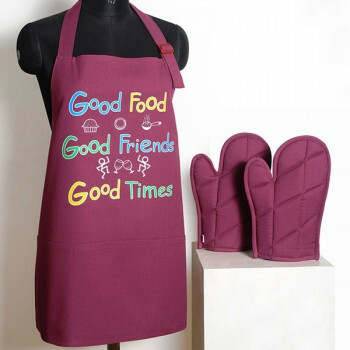 30 days return policy is also provided to ensure the satisfaction of our customers.